Sold by Jack Smith Fashion AU and Fulfilled by Amazon. Gift-wrap available. 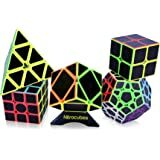 RECYCLABLE MATERIAL & VIVID COLOR STICKER - The Speed Cube is made of non-toxic ABS material and long lasting non-fading stickers; ideal for kids’ early cognitive development. NO RISK PURCHASE-Making you a happy customer is our main goal. Anything else and we’ll process a full money-back refund for you. Your satisfaction is our priority, no questions asked! 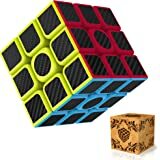 WHY CHOOSE Yafex MAGIC CUBE? 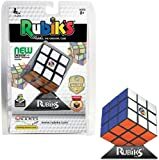 Ultimate gift for kids, friends, family members, provides hours of enjoyable game play; perfect for reducing stress, exercising your brain, improving memory and practicing hands-on dexterity skills. Amazing corner cutting, higher stability and optimized structure of anti-POP. 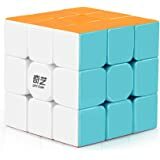 An amazing cube adopts the round cross design, the position of color pieces more precision. Easy turning and smooth play. 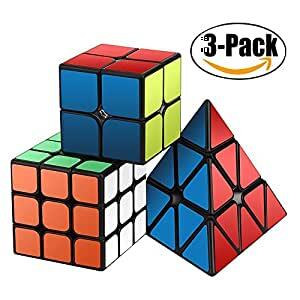 Made of non-toxic ABS material and long lasting, non-fading carbon fiber stickers, the vivid color scheme and bring you a different and delighted pleasant visual experience. 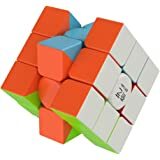 All the 2x3 3x3 Yafex speed cube are fully adjustable and provides maximum customizability come tensioned and lubed already. When you get the cube, it's ready to rock! Yafex will always provide the best product excellent pre and after service. We promise all questions will be respond within 24 hours, 30-day money refund guarantee and lifetime replacement warranty.